The Shed Cafe joined our Mission to help provide access to “Clean Water for All by 2030”. This Mission was initiated by the United Nations. A big thank you to The Shed Cafe’s team and customers for joining this extremely important mission on 22 November 2017. 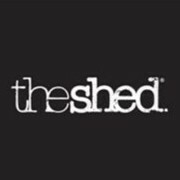 The Shed, a whole new cafe experience! The concept of The Shed is to provide exceptional coffee with fresh food in a laid-back atmosphere celebrating our Australian themes. Customer service is a major priority and all our staff are required to undergo extensive training.